Hello Everyone! 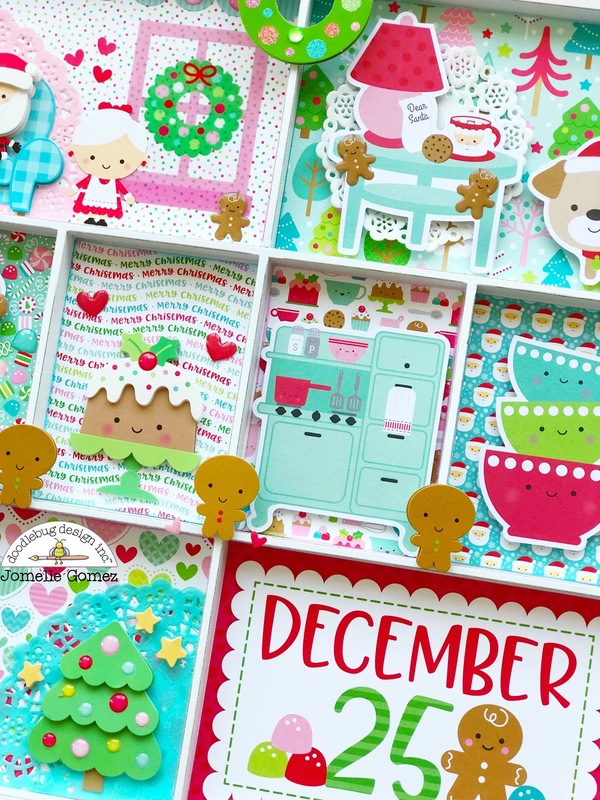 I cannot believe it's December already and Christmas is just around the corner. Have you done all your Christmas shopping? If not, you're in luck because I would like to share with you a very cute and simple DIY project to give to your special love ones. It makes it more special because you made it with love. 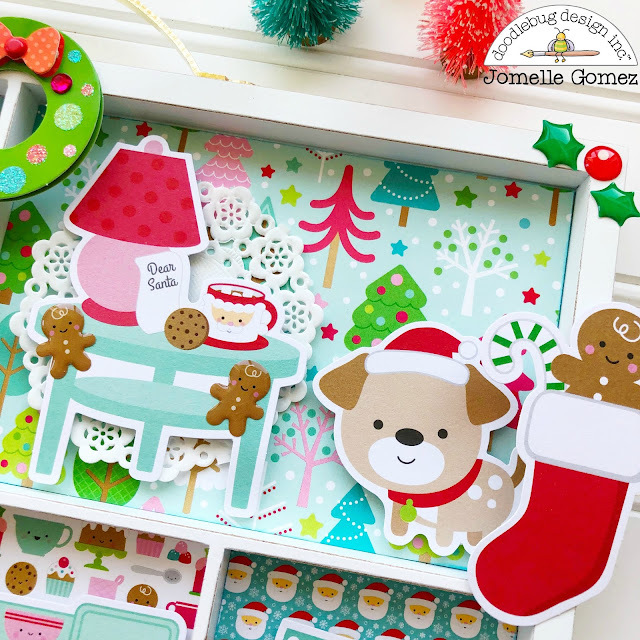 This Christmas DIY shadowbox is a fun and festive way to light up your holiday decor for your home. I made this shadowbox so that you can personalize it by adding a family picture in one of the boxes. As you can see here, I made this part where you can remove the top piece and then you can your family picture. If you don't want to, then you can just place this piece back. 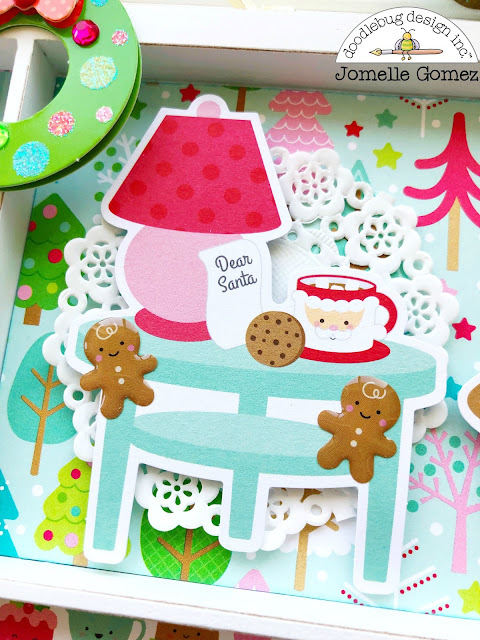 I used the Milk and Cookies Collection to make this shadowbox. The first thing I normally do is spread out all the odds & ends pieces and try to play with them to see which goes well together. I then decide what background paper go well with the odds and piece so that it will pop up more instead of over powering it. I try not to choose a very busy background paper. I love adding sprinkles everywhere as a finishing touch. 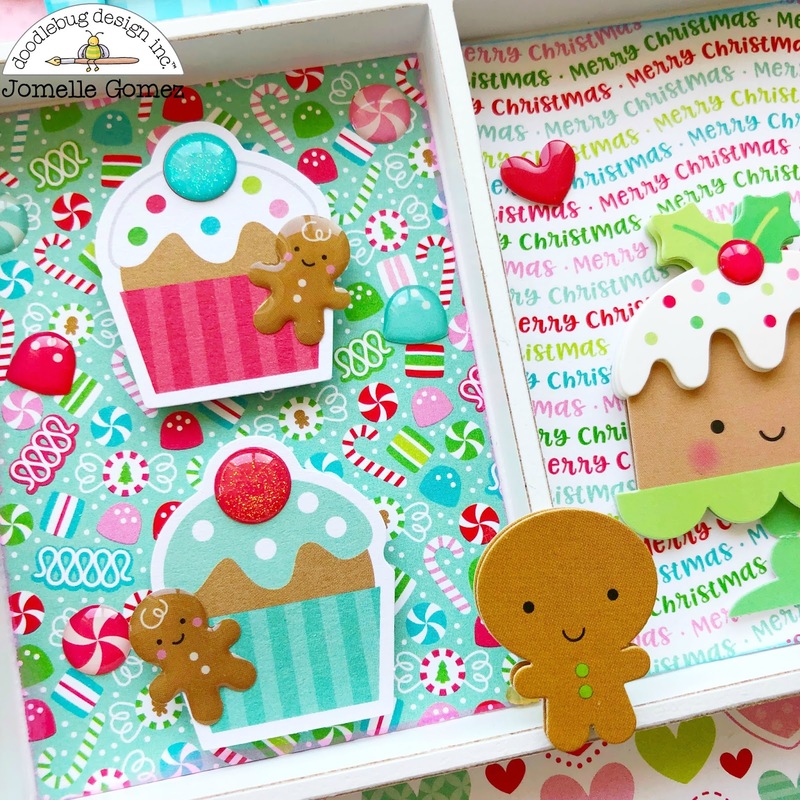 Here I added a couple of the Gingerbread Sprinkles. All you need to get started is a shadow box frame of your choice. I found mine at Hobby Lobby. 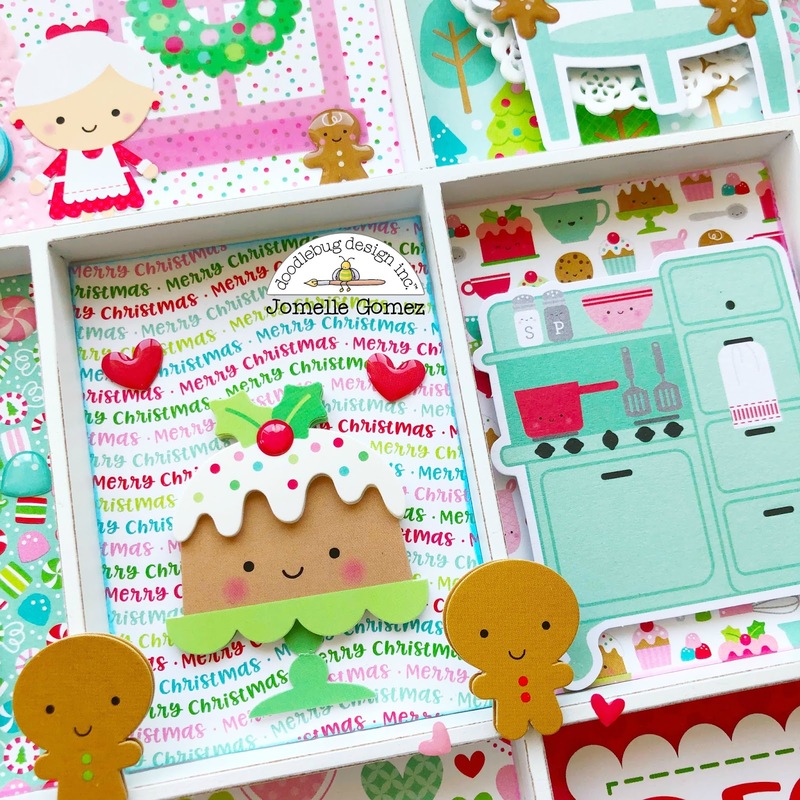 You can then choose any Doodlebug Collections since they are all so cute. Start by putting pieces together and adding some sprinkles and voila! It's very easy and super fun to make. 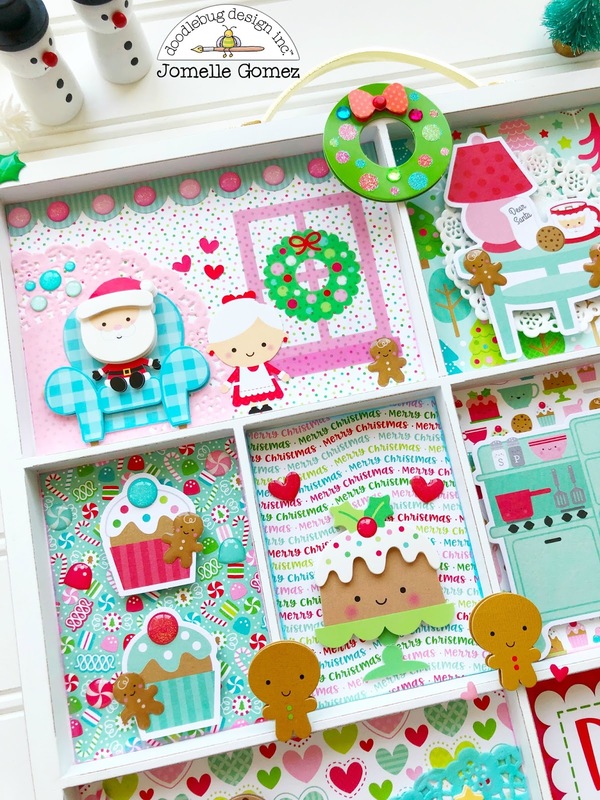 Grab your shadow box and start creating your own with theme of your choice. Enjoy your day and Have a Happy Holidays! This is fabulous!! I love all the little scenes! Love this so much! Super CUTE!!! Oh my! Love that this looks like an adorable dollhouse! Too cute! Just adorable!! The little detils are amazing!! Thanks for the inspiration!